by Ron Bartels, Op-Ed: The Most Important Reason for the Fair Tax - Families and Small Businesses. First the scriptures that apply to the Fair Tax and the most important reason we must have the Fair Tax. Proverbs 13:11a - "Wealth gained by dishonesty will be diminished"
- Stated another way, the more corrupt (dishonest) our tax system has become, the deeper in debt the pawn (nation) has become. 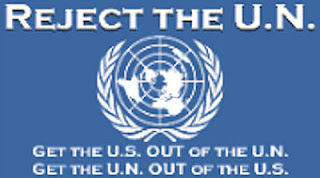 When the pawn (nation) has to be sacrificed (like in the games of chess) the perpetual corporations survive to go on existing, as they have not signed away their rights, but the rights of we the people, our children and our grandchildren. Proverbs 13:22a - "A good man leaves an inheritance to his children’s children"
- Beginning January 1, 2013, the inheritance tax has been put back up to where Clinton had it. 55% after the first $ million. Small businesses are designed to create employment for the families of the founders and additional employees as needed, so they will not have to depend on the government or another family owned business for gainful employment. The inheritance tax (death tax) destroys family businesses left and right. It does NOT apply to perpetual corporations. Therefore it is in the interests of the lobbyists who represent the perpetual corporations to tax someone else. Lobbyists write and finance the laws. Lobbyists write laws that enable these perpetual corporations to extract money from the public treasuries of the people, be they Federal, State, County or City. Perpetual Corporations never die so they never pay the ill-gotten money back. The Fact at Issue: Perpetual Corporations do NOT have children or grandchildren, they have stockholders and directors. The Logical Question: Why should children and grandchildren be taxed to support big government so big perpetual corporations can extract the money and run the government deeper and deeper in debt to satisfy their stockholders and over-paid business executives? Next Fact at Issue: The Fair Tax gets rid of family destroying inheritance taxes. It also gets rid of prosperity taxes such as the income tax and payroll taxes. These taxes inhibit the prosperity of the family unit. 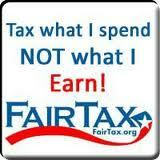 The Fair Tax replaces taxes that destroy the family unit with simple a consumption tax on new products and services. It also provides a way to save our nation from being destroyed by eventually paying off our national debt. Ron Bartels is an conservative who supports the Fair Tax. You may follow him via his Facebook account.. Tags: Ron Bartels, op-ed, Fair Tax, Families, Small Businesses To share or post to your site, click on "Post Link". Please mention / link to the ARRA News Service. Thanks! Fact: Everyone is either for the current Unfair Tax or ready to work to replace it with the Fair Tax.